Love this picture. 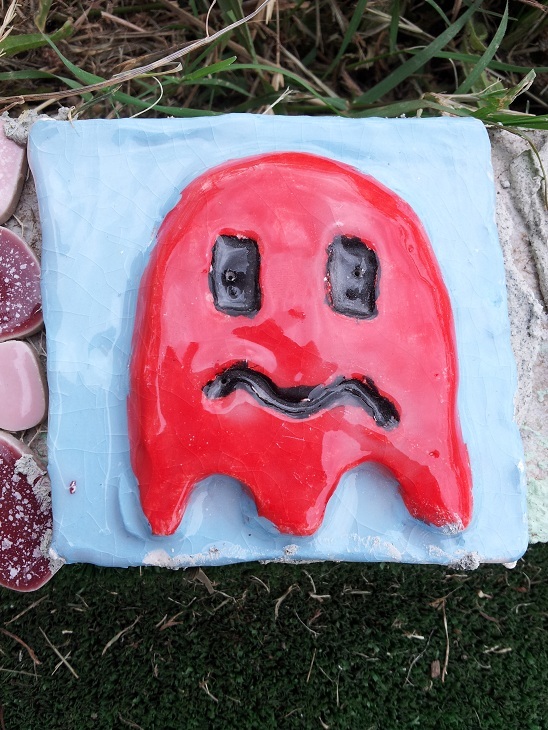 Can't remember if I posted it before, but it's a tile my daughter made last year before leaving primary school. So cool. Last week and this week, I've been working on the final draft of Sierra Fox #4. It's intense work because I have to stay sharp so things don't slip by me. The best way of doing that is by revising on the PC, and then reading what I've revised on my phone. It's double the work, but I'm catching a bunch of typos and repeated words by doing this. If I can do that, it would be awesome! The next/final book in Sierra's five-part series is really speaking to me, and as much as I'd love to write it during the month of April, I don't think I can. My daughter has two weeks off in April, we have a vet appointment, I have a doctor's appointment, there are a few public holidays... yeah, doesn't look likely. So instead of freaking out, I've decided that May is the month for Sierra Fox #5. I can't believe I'm going to say this but asides from reading my own story, I haven't read anything else. Ahhhhh! It feels wrong, somehow. But I plan to reward myself with a bunch of reading after I'm done with this book. Gotta love the positive thinking I'm spilling all over this post. Now, if I can just pretend the season hasn't changed and summer isn't gone, I'll be okay. Well, that's it for today. I've got a to-do list to tackle!